Beams Foster Care and Family Services is an independent fostering agency and social work service. Beams provides a wide range of fostering options from short breaks, task centred, parent and child and long term fostering. Beams foster carers receive a package of support which includes 24 hour support 7 days a week. Carers for Beams rely on a good financial reward as well as practical support and excellent training and supervision. Beams foster carers will have a first rate service to enable stability to the children and young people placed within a Beams foster care placement. To find out more about Beams Foster Care call or email today. Beams was formed by Karen Beales and Beryl Sims, who are both social work professionals with a vast amount of social work experience within Children and Families. Our office is based in Gorleston, Norfolk. Both Beryl and Karen are involved in the day to day management of Beams, contact is today on 01493 751593 Beams Foster Care and Family Services aims to deliver outstanding services and care to children and young people at all times through commitment, dedication and determination to enable them to have high aspirations for their futures. This is our mission that will inform our delivery and practice at all times. Foster carers provide a place in their family for children who are unable to live with their own parents or carers, providing the children and young people with stability and support. Fostering provides both temporary and permanent (long term) care, sometimes for parents who need support, or for children or young people during difficult times in their lives. Fostered children usually return home after a short period however, sometimes problems cannot be resolved and parents are unable to provide safe care. Children might move from foster care to be adopted, and young people might move on to independent living. Children and young people need foster carers who are committed and able to provide stable environments. Fostering can be challenging but also very rewarding, if you foster a child or young person you are providing them with the home that they need. If you have a spare room and time to spare we would welcome your interest. The fostering task is different for everyone, as everyone's life experiences are different. If you would like to know more about fostering or express an interest to foster with Beams we will happily discuss things further. Foster carers have the right to foster with the agency of their choice, therefore Beams welcomes enquiries to transfer to Beams from experienced foster carers. Interested in Fostering? Time to Care? All Foster carers for Beams receive between £430-£675 per week per child, depending on age, in addition birthday, festival and holiday allowance are paid. Children who need a more intensive, specialist placement receive an additional allowance. Beams is a local agency where the directors of the Agency are involved in the day to day activity of the Agency. We want our carers to be and to feel a part of Beams. Karen and Beryl can now see that vision coming to fruition. Foster carers who have joined Beams speak of the “child centred way in which the agency works” and say “we love being part of an Agency that knows us and we know them”. Carers who have transferred for Beams were surprised as to how easy the process was. "Beams ensured that the whole process went smoothly", said a carer who transferred from another fostering provider. "The agency provides good foster placements for children and young people with a range of needs including some with particularly complex needs. The children and young people have their needs met and their welfare safeguarded and promoted. Placements are stable and any moves are carefully considered to ensure that they are in children and young people’s best interests. This stability enables children and young people to develop a sense of belonging in their foster families and to build positive and beneficial relationships with their carers. They only offer placements for children and young people whose needs they believe they can meet effectively." "The assessment process for carers is thorough and is carried out in a timely way, so that potential carers are not lost due to delays. Carers are well supervised to ensure that they provide a high standard of care and to help them find effective ways of working with children and young people. The responsible individual and registered manager are very involved in the running of the agency and know its strengths and areas for development. All agency staff work well with the carers, so that they feel included in the team around the child or young person. This is enhanced by good relationships with the placing social workers and schools." The vision of Beams Foster Care and Family Services is to provide a safe secure base for children and young people in care to enable them to reach their full potential. Beams aims to provide services of the highest quality to children, young people, their families, foster carers and Local Authorities. Beams Foster Care and Family Services was formed in August 2013 and Beams Foster Care began operating fully in May 2014. Its co-directors possess significant levels of experience and qualification in social work, management and fostering. Beams Foster Care and Family Services aims to provide high quality foster placements to children and young people locally within the East Anglia region. Beams offer services that are believed to enable stability and security for children and young people in placement. Beams Foster Care and Family services provides interventions, assessments and direct work to children, young people and their families to enable stability and security and where possible for them to remain in contact with their birth families or return to their family of origin. Beams works to the National Minimum Standards that inform practice and services in the sector. Our aim is to exceed the minimum standards. Beams Foster Care and Family Services aims to deliver outstanding services and care to children and young people at all times through commitment, dedication and determination to enable them to have high aspirations for their futures. This is our mission that will inform our delivery and practice at all times. Beams Foster Care and Family Services aims to provide a service at all times that is delivered with commitment, dedication and determination. Beams Directors and all staff will provide services that enable children, young people and their families to achieve stability and security. Beams will strive to provide leadership and deliver all services with professional integrity, providing a high standard of care for the children and young people placed within our foster placements. They will all be treated with respect, dignity and treated as individuals. Beams Foster Care and Family Service are committed to openness and equality, treating all children and families with dignity and respect. No child, family, foster carer or foster family will be discriminated against because of their disability, colour, ethnic or national origins, race, gender, sexual orientation, and political or religious beliefs. In accordance with S2 of the Fostering National Minimum Standards 2011 the fostering service values diversity and the key role this plays in the development of identity, self-esteem and resilience. Accordingly, the service routinely acts to promote the identity, self-esteem, emotional resilience and confidence of children in foster care. All children, young people and their families who are offered services by Beams are regarded as individuals. Services and packages will be tailored with their needs in mind at all times. Karen is a qualified social worker with a Bachelor of Science Degree and a Diploma in Social Work. She has worked within social care for approximately 18 years. Her work has always been within Children and Families, this has included contact centre, Corporate Parenting, Emergency Duty Team (out of hours). She has extensive experience with growing up within a fostering family, child care, social work and being an adoptive parent. Working extensively in a social work career within Looked After Services and managing a Corporate Parenting Team. Beryl is a qualified social worker with a Bachelor of Science (Hons) Degree in Health and Social Care and a Diploma is Social Work. She has worked in social care for approximately 41 years. Her work has always been within Children and Families social work, this has included under 5’s day care, adolescent residential care, a local authority family centre, managing an independent fostering agency, undertaking independent Social Work assessments within both public and private law and as a Local Authority Social Worker. The last 28 years of her career has been in management roles. Beams seeks to recruit, train and support carers who will provide with dedication and commitment a secure and stable base for children and young people in their care. Providing stability in the lives of children and young people enables them to fulfil their potential. Beams will work closely with Local Authorities, carers, children and young people to ensure they are all able to meet their full potential and have positive outcomes. Beams recognises the challenges that children and young people in care can face and will aim to provide local placements and services to enable them to remain in their local area, where appropriate, attend their current school and keep in contact with their family and friends. Beams will deliver a service that is tailored to meet individual needs of children, young people and their families. High quality care in a family setting for children and young people providing them with a positive, safe and nurturing experience of substitute parental care. To minimise discontinuities in the lives of vulnerable children and young people including the premature ending or disruption of placements. To recruit foster carers who have the potential to develop their fostering knowledge and skills to the highest standard. To provide carers with a robust package of professional support which will be 24 hour support for foster carers, children and young people. To provide carers with the support and training necessary for their continuing development, with the aim of empowering them to manage a wide range of complex and challenging behaviour so that vulnerable children and young people feel secure and develop their potential. Live in a foster home, which is safe, healthy, nurturing and enabling. Contact between each child and their families and friends will be encouraged and supported as set out in the care plan. Healthcare which meets his/her needs and age appropriate information to facilitate informed participation in decision making around his/her health needs. That his/hers education will be supported, valued and nurtured to enable he/she to reach their full potential educational. That his/her views, wishes, feelings will be actively sought and considered by all Beams fostering personal. That he/she will be informed of their right to make a complaint and representation on the quality of care they receive, what procedures they should follow (i.e. how to complain leaflet) and what support (including name of advocacy organisation) they can access to pursue their complaints or representation. That he/she will be cared for by foster carers who will respect and recognise and address his/her needs in terms of beliefs, culture, religion, language, sexuality and disabilities. During the transitional period of leaving care she/he can expect to be helped to develop the necessary skills, competence and knowledge necessary for adult life through a planned 16+ intervention. That relevant agencies and adults will work in partnership to reach decisions and provide services geared to his/her best interests. Share attitudes that are open and flexible, rather than holding closed rigid ones. Can face sadness and loss and are not embarrassed or threatened to talk about the feelings involved. Are able to look honestly at themselves and acknowledge their strengths and limitations. Do not expect to do it isolation but are able to ask, use and welcome help as and when needed. Life story work shall be undertaken where appropriate to support the children and young people in Beams Foster Care placements. Delegated authority is the term used when the responsibility for making day to day decisions about a child has been passed to the foster carer. This can include decisions around activities, hair-cuts and overnight stays amongst other things. Good practice around delegated authority helps young people to achieve and thrive in foster care. Beams Foster Care strives to achieve this working closely with local authority, families and foster carers to make sure delegated authority is used appropriately to enhance the child/ young person’s experiences within the home of a Beam’s Foster placement. Beams works in line with all legislation and regulation, including Children Act 1989, Children Act 1994, Regulations and Guidance 2010, The Fostering Regulations 2011 and the Care Standards Act 2000. Respite and short term – we aim to work with a number of carers who are prepared to provide placement on a ‘respite’ basis. This could be to support the birth family in need of help, or to support another foster family. Bridging placements – foster carers undertaking bridging placements will be expected to be competent to work with children in preparation for adoption or working towards rehabilitation with the family. 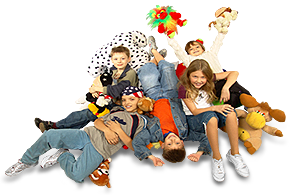 Permanent Placements – Those children requiring a permanent foster placement. Long Term Placements – Those children requiring a long term foster placement. Parent and Child Placements- These placements usually involves placing a baby or child, along with either one or both parents, in a placement where they are supported with parenthood in a safe and secure environment. All children and young people placed within a Beams foster placement are able to receive Life Journey work to enable them to understand their story and life journey. This work will be provided in line with the Child’s/ young person’s Care Plan at a stage that is agreed with the Local Authority. Beams will ensure that contact arrangements are maintained, facilitated and supported in line with the child/ young person’s care plan and at the request of the Local Authority Social Worker. The contact where appropriate shall be supported by the foster carer. Beams seek to assist young people with their independence skills and will work closely along-side Local Authorities to develop and improve the skills that are needed as identified within their Pathway Plan. Beams Family Services offers a wide range of interventions, assessment and direct work with children, young people and their families. It is likely that the child may receive services from both elements of Beams providing security and continuity of delivery. It is important that those involved in providing vulnerable children/ young people with foster placements are properly assessed and supported. Therefore the following will be included in the process for approving carers using the BAAF Form F.
Beams Foster care assessing social worker will visit applicants in their household and explain the assessment requirements and how the assessment will be carried out. They will gather basic information, answer any questions, and compile an initial visit record. Applicants will be required to attend training sessions arranged by Beams. The Skills to Foster Course is part of the assessment process. Beams Foster Care will require signed authorisation for statutory checks which include enhanced DBS checks, Local Authority checks, and NSPCC checks on all adult members of the household. Names of a minimum three referees will be required and the assigned Beams assessing social worker will visit at least two of them in order to discuss, confidentially, the applicant’s suitability. Previous partners or spouses of applicants will also be interviewed. Employment references will be taken and if applicants have children in schools, references will be obtained from schools. If either applicant has worked with children or vulnerable adults in the past, references will be sought by previous employers or registering bodies. All applicants will be assessed during a series of home visits and interviews. Couples applying to foster jointly will be interviewed both together and separately. Birth children in the family and nay other adults in the household will be interviewed separately. They will be encouraged to compile a portfolio to address core competences which will be seen by panel. The Coram/BAAF Form F will be completed for submission to the Beams Foster Care Panel which is chaired by an independent person of excellent standing and repute. Foster carers spend a good deal of their time either alone with the foster child or with their own family and the foster child. It is therefore vitally important that the carers are provided with a wide range of support to assist in the caring process. Foster Carers must be valued by all staff with whom they come into contact with. To support the foster carer and their family in providing a positive and safe family experience for children and young people looked after by the Local Authority. It is acknowledged that fostering can be stressful and it brings about changes with the foster carer’s own family home. It is important that the fostering task does not place undue pressure on foster carers and that their own relationships do not begin to suffer. To ensure that the statutory requirements are met. Those requirements are designed to ensure that the care provided in the foster home is safe and appropriate. Arrange the annual review of the foster carer’s approval. To monitor the progress of child/ young person in placement. To provide ongoing advice, training and information on the child care matters and guidance on working with the Local Authority, parents, and other professionals involved. Regular supervision to meet their needs. Beams has provision for foster carer’s support group on a bi-monthly basis, which will be facilitated by a qualified and experienced social worker. These support groups are designed to offer carers an opportunity to share experiences and learn from each other. The support group will also provide valuable help in the development of the agency’s policies and quality of services. Beams are committed to providing quality training and support that is accessible and relevant to all our foster carers. Training at Beams Foster Care Services, is viewed as an important element of the agency’s support to foster carers in order to achieve better outcomes for children placed in its care. Beams training and development programme looks at the issues around separation and loss, identity crisis, attachment difficulties and abuse in the main, which can impact as much on carers as on the children that they care for. It also explores the impact of living 24 hours a day with children so traumatised by their experiences that carer’s own lives can be at risk of being overwhelmed by their foster child’s pain. All foster carers have every right to foster through the agency of their choice and Beams therefore welcomes enquiries from experienced foster carers. The Fostering Services Regulations (2011) state foster carers can only be approved by one agency at a time. Beams supports and fully subscribes to the Fostering Network Transfer Protocol (2014), which takes into account legislative changes for good practice which came into force on the 1.7.2013. The Transfer Protocol is designed to guarantee that each child either remains unaffected or will receive greater benefit when a carer chooses to transfer to a different agency. A protocol meeting is held to ensure that transfers between agencies are carried out in a way that will not impact on the child in placement. Any children in placement will therefore transfer with you to your new approving agency where it is in their best interest. Beams will also ensure that in your work as a carer you will receive at least the same levels of support, both professionally and financially, to enable you to provide high quality care to the children in placement with you. Please refer to the full fostering network transfer protocol for more information. All Beams staff and carers have DBS checks completed and undertake regular safeguarding training. Beams recognise the safeguarding of children to be a key priority. Children shall be provided with Beams Children’s Guide to Foster Care and know who they can contact and how should they have any worries or concerns. This enables children in Beams foster placement to have a voice, all representatives made by the children and young people shall be listened to. All Beams carers shall have and follow a safe caring policy and health and safety policy. These shall be reviewed at every new placement made. Beams staff and carers have a duty to secure the safety and welfare of all children and young people. Should a member of staff/ carer have any concerns about a child/ young person’s safety or well-being their concerns will be discussed with a manager in the first instance and safeguarding procedures will be followed. The Local Authority shall be informed immediately when there is a concern for a child’s/ young person’s welfare or safety with measures being put into place to safeguard immediately if needed. Please refer to Beams Safeguarding Policy for more information. Beams aims to provide services at all times that are of a high quality and standard. All work will be QA by the Directors Karen Beales and Beryl Sims. Beryl Sims is the named Director who is dedicated to service improvement and who oversees the effective implementations of all policies and procedures. Beams recommends that any complaint that is made by a foster carer is first raised with their supervising social worker, if this is not resolved then a meeting can arranged between the carer, supervising social worker and manager to discuss the issues/ concerns. If this still leaves it unresolved then the carer can put the complaint in writing to be fully investigated. Beams recommends that complaints made by children/ young people, parents or local authority social workers are dealt with in a direct manner to seek resolution. Should resolution not be possible then the complaint should be made in writing for investigation. Acknowledgement shall be made within 7 days with a full response within 28 days. Please refer to Beams Complaints Policy for more information. Theme: Illdy. © Copyright Beams Foster Care and Family Services 2018 All rights reserved.